The incident took place on the day of Holi when a muslim family was playing cricket in a barren plot outside their house. The perpetrators came on bike and threaten them to go to Pakistan and play there. 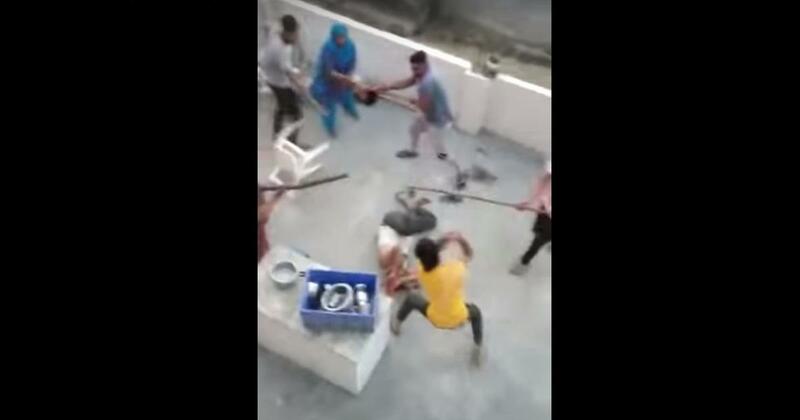 They came back with with spears and lathis and brutally assaulted the family inside their house. They also robbed the jewelry of the muslim woman. Six had been arrested. FIR was filed against the perpetrators under sections 148, 149, 307, 323, 427, 452 and 506 of the Indian Penal Code.